Starting a restaurant is one of the biggest adventures you’ll ever undertake, meaning there will be good times and bad times and times when you feel like life is unpredictable and you have to problem-solve faster than you ever have before. Every restaurant is different, meaning your restaurant’s start up costs are not going to be the same as the one down the street. When you start a restaurant, the costs can quickly add up. You can expect hidden fees and expenses you never thought to account for – which is where we come in. This section will help you consider all possible costs needed to get your restaurant off the ground. Learn more about forecasting your restaurant sales. A average restaurant rent cost, or lease, should be five to ten percent of its total revenue. If your restaurant is located in a small town or suburban area, you can expect to fall on the lower end of the spectrum, between five to eight percent. So if you own a neighborhood restaurant that makes $800,000 per year in sales, you should expect to pay $40,000 to $64,000 per year for your lease. But if your restaurant is located in downtown Manhattan – the most expensive market in the United States – your rent may push upwards of 13% of your revenue. You’re in a bad place if your lease is 15% of your revenue – the extra five percent will cut into your profit margin and prevent you from budgeting for extraneous costs. Make sure to negotiate or find another space if you’re staring down this ratio. pro tip: ask your prospective landlord(s) if they would be willing to offer you a percentage deal. a percentage deal uses an agreed-upon level of sales to determine a baseline rent, which is ideally lower than what you would pay without a percentage deal. Upside: You pay only your baseline rent if your sales that month fall at or below your projected sales level. Downside: If your restaurant makes more than the agreed sales amount, your landlord collects an additional percentage of rent. Be careful: if you have a great month your rent can actually double! Commercial electricity use in the United States costs an average of 11.0¢/kWh, with an average monthly bill of $700. To get an accurate estimate on how much your restaurant will spend on utilities, you’ll need to know the approximate square footage of your space. The average restaurant utilities cost in the U.S. includes $2.90 per square foot per year on electricity, and $0.85 per square foot/year on natural gas. Your water, heating, and electricity bills, however, will also depend largely on where you’re located in the country. If you’re located in a hot or cold climate, you’ll spend more on cooling or heating costs compared to a restaurant located in a more temperate climate. money-saving tip: install occupancy sensors in walk-in coolers and storage areas that turn off or turn down equipment automatically. you’ll pay more for the sensors up front, but note that every 1,000 kwt you save is about $100 off your utility bill – so if you have the cash, consider the investment one that will pay for itself over time. Restaurant real estate costs in New York City are the highest in the United States. Average cost of rent in Manhattan and some Brooklyn neighborhoods is $120 per square foot. Average cost of rent in Chicago is $40 per square foot. Average cost of electricity in Chicago is 4.05¢/kWh with an average monthly bill in Illinois of $573. Average cost of rent in Toronto is $38 CAD per square foot, with the most expensive spaces going for $100+ on Queen Street between University Avenue and Spadina Avenue. The average monthly hydro bill for a restaurant that uses 8,000kWh per month is $1,200, including an eight percent provincial rebate. Money-saving tip: Toronto Hydro can provide you with rebates on upgrading lighting, refrigeration, air conditioning and other equipment. See if you qualify here. A healthy food cost ratio is between 25%–40% of your projected revenue. For example, if your restaurant makes $20,000 per week in revenue and your food cost ratio is 35%, you’ll be paying approximately $7,000 for food that week. Your concept determines your food cost ratio because the quality of your ingredients drives cost. A steakhouse or high-end seafood restaurant can have food costs of 40% and higher. A ‘from scratch’ Italian restaurant specializing in pasta and pizza could have a food cost as low as 20%. The key difference is the average check and the amount of labor needed to serve your menu items. Rolling dough, cutting noodles, and prepping sauces and toppings are a lot more labor intensive than a restaurant that doesn’t transform the raw product as much. Grilled steaks and steamed seafood, for example, don’t require much beyond proper seasoning, cooking, and storage/handling. A restaurant can be profitable with a 40% food cost, as much as a restaurant with 20% food cost can be losing money. Your average restaurant food costs is influenced by many other variables, like your food suppliers and your menu. You can create forecasts based on your concept and vision, but expect your first month to have a ton of trial-and-error. You’ll likely overestimate how much you need and produce more waste than you would like, or you’ll find people love your food so much that you’ll run out a lot more quickly than you anticipated. A restaurant’s labor ratio should fall between 25%–35% of gross sales. Again, your labor ratio will depend on your concept. A full service restaurant will have a higher labor ratio of 30%–35%, while a quick service restaurant would spend between 25%–30% of gross sales on payroll. And 10% of this labor ratio should be reserved for management positions. The key to keeping great staff is to treat them well and pay them a good wage. The restaurant industry is small, and it’s common for people to talk about how much they’re making in tips and getting paid at their restaurant. To give you a sense of what’s fair, here are some average salaries for servers, cooks, and managers compared against national averages. All minimum wage increases after January 1, 2019 will be tied to annual adjustments to Ontario’s Consumer Price Index. Once you have a solid business plan, you can start taking the necessary steps to register your business. All new restaurants must be registered with their state/province, and the guidelines vary depending on the type of business you’re opening: a sole proprietorship, partnership, LLC, etc. To register your business, you’ll pay a registration fee that can be between $100–$1,200. Visit your state or provincial license centre online; a quick Google search of your state/province name plus “business license” should bring up a government website with a thorough breakdown of each business type, how you can register, and access to the forms you’ll need to complete. When you’re registering your business, investigate two costs: up-front registration fees and annual renewal fees. Some states, provinces, and cities require restaurants to pay a flat yearly fee, while others require payment of a percentage of sales. Find out more about licenses and permits. In Chicago as a restaurant, grocery store, bakery, deli, or café, your application for a Retail Food license will cost between $660 – $1,100 for both the application and two years of operation. To register your business in Toronto, it will cost $60 to register and another $60 to renew annually through ServiceOntario. You can also search other registrations to check if the name of your business is already being used for a fee of $8–$26 depending on the types of records you want to include. At time of registration, you’ll need the name and address of the business, a description of what your business does, and your name and home address. You may also want to register your business name through the Canada Revenue Agency’s Business Registration Online (BRO) service. At the same time, you can register for other CRA accounts like your GST/HST registration or Payroll Deductions. Restaurateurs are often expected to be jacks-of-all-trades, but the reality is that while new business owners may be exceptional at one or two areas – like crafting the perfect menu or articulating a vision – they need tons of help navigating most other aspects of business ownership through restaurant team members. Know your strengths and weaknesses, and hire professional services for highly specialized areas of work, such as accounting, legal work, and finding property. Many restaurateurs try to work with friends or family who are also qualified professionals – which comes with a set of advantages and disadvantages. You may be getting a deal on services, but if something goes wrong you may feel awkward about addressing difficulties due to the personal nature of your relationship. Here’s what to hire for to assemble your Restaurant Experts Team. Converting a blank space into a kitchen and restaurant will require significantly more investment than working with a space already designed for a restaurant. So restaurant construction costs will differ greatly depending on the kind of space you go for. Don’t forget about the cost of decor: chairs, tables, dressings, light fixtures, linens, and art deco. When you’re budgeting for decor, don’t forget your average meal price and spend accordingly. money-saving tip: do some initial research on pinterest: it can provide cost-conscious inspiration and ideas on a budget. Furniture, smallwares, and equipment typically cost between $100,000–$300,000. First, the big stuff: ovens, range refrigerators, fryers, freezers, and bar glass cleaners can cost about $100,000. if you’re a new restaurateur, consider leasing your equipment instead of buying it. if you’re going to buy (as opposed to leasing), shop around for lightly used equipment that’s in good condition with at least some remaining warranty left on it. a used oven that’s five to ten years old still has about two to five years on it if it’s been cared for. you can always upgrade when you have the cash flow. then there are hundreds of little items you won’t initially think of that also need to be worked into the budget: pots, pans, storage containers, dishes, cutlery, glassware, thermometers, and more. Tableware, utensils, glassware, takeout containers, and bar equipment can cost about $80,000. You’ll likely replace glasses, cutlery, takeout containers, etc. three times in the first three months of ownership. (After this time period, you’ll know enough to make sure you never run out.) Make sure to budget enough to cover these unexpected costs. For example, let’s say you have 100 seats in your restaurant. So you start with 200 forks, enough for the whole dining room, plus full turnover. Say you lose five forks per day – customers steal them or your staff accidentally throw them away. Within only one month, you’ll have 50 forks left, enough for only half the dining room and none for turnover. All of a sudden you can’t operate because you forgot to constantly be ordering forks! A typical furniture budget for a restaurant can range between $5,000–$40,000, but your final cost is dependent on the size of your restaurant, your concept, and how many seats are in your restaurant. There’s no one-size-fits-all number for insurance costs, as every city has their own smorgasbord of requirements. The final number is affected by the location, square footage, and number of employees. Restaurants will often have to put down deposits for each type of insurance, which can add up quickly due to the varied types of insurance needed. Be sure to check with your lawyer and city requirements to make sure you obtain all of the insurance required. The following amounts are the ranges you’ll pay for U.S. annual premium rates for every type of insurance you’ll need for your restaurant. Covers kitchen equipment, furniture, buildings, and other property you own as a restaurateur. make sure you understand exactly what your property is covered against. are you covered against fires, earthquakes, and flooding? insurance coverage varies by provider, so make sure you understand exactly how your property is protected. Protects your business in the event that someone is injured on your property. Protects your business in the event that an intoxicated customer commits a crime, injures someone, or damages property. Protects your employees from the expense of work accidents and illnesses. Restaurants are required by law to purchase this insurance. Your life insurance costs are influenced by age, health, gender, occupation, and where you live. Every business owner needs life insurance to shelter their loved ones from possible expenses related to your business in the event of death. Protects your business against closure for reasons of fire, hail, windstorm, vandalism, equipment damage, etc. Food contamination insurance is coverage specifically designed to help a business owner recoup the costs associated with spoiled or contaminated food. money-saving tip: some insurance providers also offer business owners’ policies, which combine many of the above. make sure to work with an insurance provider in your state who covers other restaurants, as they may have better packages than some standard providers. One of the most important aspects of opening a restaurant is having the appropriate permits in place well in advance. Restaurateurs are subject to a number of permits and licenses, many of which come with their own nominal fees. If you are planning to renovate, serve alcohol, or have outdoor seating, you should begin the application process for each permit as soon as possible, as some can take a long time to be approved. Note: Do yourself a favor and read the section required permits & licenses for restaurants sooner rather than later. So many restaurants have had to delay opening because they are waiting for licenses and permits. Don’t be one of them! Minimum fee of $198.59 is charged for all work. An hourly fee of $85.79 is charged for all work. Music licenses cost restaurants anywhere from $200–$2,000 per year. When obtaining music licenses, make sure to provide specific information like the square footage of your venue and how often you play music, as these factors will impact the amount you are required to pay. You have two options to cover any music played in your venue: pay performance rights organizations (PROs) directly, or pay for a pre-licensed solution. Note: each of these licenses cover different artists, so we recommend purchasing all three so your restaurant can play a wide variety of music. Fees for a music license for restaurants are based on the type of music the business uses, capacity, and how many days a week it hosts lives music. To get a license to play music in a restaurant with BMI, restaurant owners must apply by filling out this form. Rates depend on total capacity and, similarly to ASCAP, whether you’re using things like a jukebox, hosting live music, or charging admission. Similarly to ASCAP and BMI, fees are determined based on capacity and method of delivery, such as live music, website, or jukebox. Businesses must determine which tariffs their use of music is subject to. For example, if you’re planning to use background music, the minimum license fee is $95.51; additional costs are added based on the room size and number of years in operation. Another option is to pay for a licensed music streaming solution, which does the dirty work of vetting approved artists and playing only that music. Music streaming services tend to be cheaper, but the number of artists available to play can be more limited – and the option to customize your playlist or throw on your iTunes account is off the table. Check out each platform to determine the kind of music available on each, as you’ll likely want to invest in only one of these. 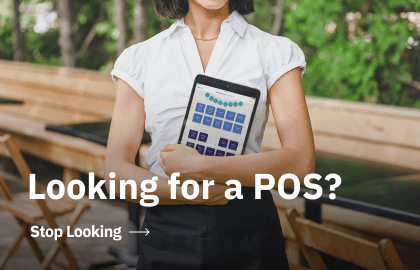 Your POS might be the most important restaurant technologydecision you make. As the main means of sales tracking and communication between the customer to the server to the bar and kitchen, choosing a restaurant POS that’s cost effective, scalable, and contains all the capabilities you need is essential to the success of your operations from all angles. Mostly offered on tablet or iPad-based POS and offers lower monthly fees. Your essential marketing costs will be menu design, your website, and outdoor signage. These are three must-have elements of any restaurant marketing plan, so start here when you budget for marketing costs. Options: Work with a freelance web designer, or work with an agency. Options: Design the website yourself with a service like Wix or Squarespace, work with a freelance web designer, or work with an agency. A note on domain name costs: Domain name costs vary greatly depending on what you want your URL to be. If your restaurant name is common, your preferred domain name may cost thousands of dollars. If your desired domain name is not common, you could end up paying just $10/year. Outdoor signage: stands, banners, window decals, etc.